Awards and Achievements: The largest manufacturer of finished pharmaceutical products in Western Siberia. GMP-certified since 2010. The Company celebrated its 80th anniversary in 2016. Total area: 30,144 thd. sqm. Manufacturing area: 11.7 thd. sqm. In 2004, Mr. Danilov graduated from Tomsk Polytechnic University majoring in Economics and Company Management. He began his career the same year with OJSC Industrial and Construction Bank. In 2008, he joined OJCS NOMOS-Bank, while in 2011 Vadim continued his work at Property Management Department of Drilling Service Company GRAND LLC. 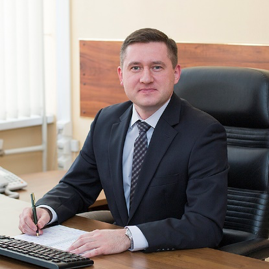 In 2014, Vadim Danilov was Deputy General Director for Commercial Affairs of OJSC Pharmstandard-Tomskkhimpharm. On February 13, 2018 he was elected General Director of OJSC Pharmstandard-Tomskkhimpharm. In 1913, the first pharmaceutical warehouse was opened in Tomsk. 6 years later at its premises the soap, galenic and chemical manufacturing was launched. In 1936, the pharmaceutical warehouse was converted into a chemical and pharmaceutical plant that manufactured tinctures, extracts, drops, ointments, adhesive bandages and tablets. During the USSR era, the Tomsk plant turned into one of the largest state enterprises and played the key role in development of the national pharmaceutical industry over decades. In 1992, the enterprise was reincorporated as a Joint-Stock Company. 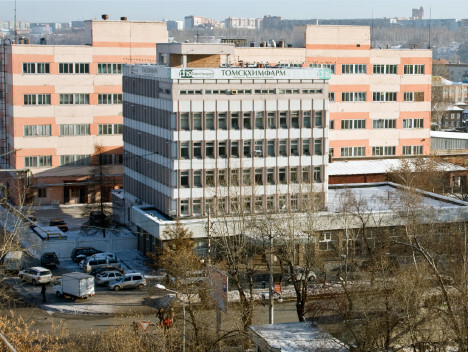 In 2004, the Tomsk plant joined Pharmstandard Group. Over two subsequent years, it reconstructed and refurbished the QC microbiological laboratory. The laboratory was licensed to conduct activities involving use of infectious agents and works with RG3-4 microorganisms. The critical raw material warehouse was reconstructed, the sampling area was equipped with a “clean room” module. In 2007, Pharmstandard JSC and Solvay Pharma SAS, France (Solvay) signed an agreement for manufacturing of two Solvay Pharma products in Russia — Imudon and IRS 19. Its finished product manufacturing and packaging was decided to arrange at PHS-Tomskhimpharm JSC. •	Obtained Certificate of Compliance with GOST R 52249-2009 “Quality Management System. Requirements”. • Obtained Certificate of Compliance with GOST ISO 9001-2008 (ISO 9001-2008) “Quality Management System. Requirements”. •	Clarithromycin, film-coated tablets, 500 mg.
•	Levofloxacinum, film-coated tablets, 250 mg, 500 mg, 750 mg.
•	Magnelis® B6 forte, film-coated tablets, 100 mg + 10 mg.
•	Mycoderil, cream for external use, 1%. •	at 32, Proletarskaya street, Tomsk - No. GMP -0012-000016/15 (dd.10.03.2015). •	Tenofovir, film-coated tablets, 300 mg.
By the inspection results conducted by VNIIS JSC, PHS-Tomskhimpharm JSC obtained Certificate of Compliance with GOST ISO 9001-2015 “Quality Management System. Requirements”. Ministry of Industry and Trade of the Russian Federation issued GMP certificates to three manufacturing sites of the company validating compliance of the pharmaceutical products with the requirements of Good Manufacturing Practice No. GMP-0012-000137/17, No. GMP-0012-000143/17, and No. GMP-0012-000144/17 dated 25.01.2017. 2018 It is planned to remodel the manufacturing site with the purpose of bringing it into conformity with GMP regulations, to set up manufacture of new pharmaceutical products as part of the contracts entered into with CJSC BIOKAD.